This might look familiar because I did something similar, but different, a few years ago. This piece is for a custom order. 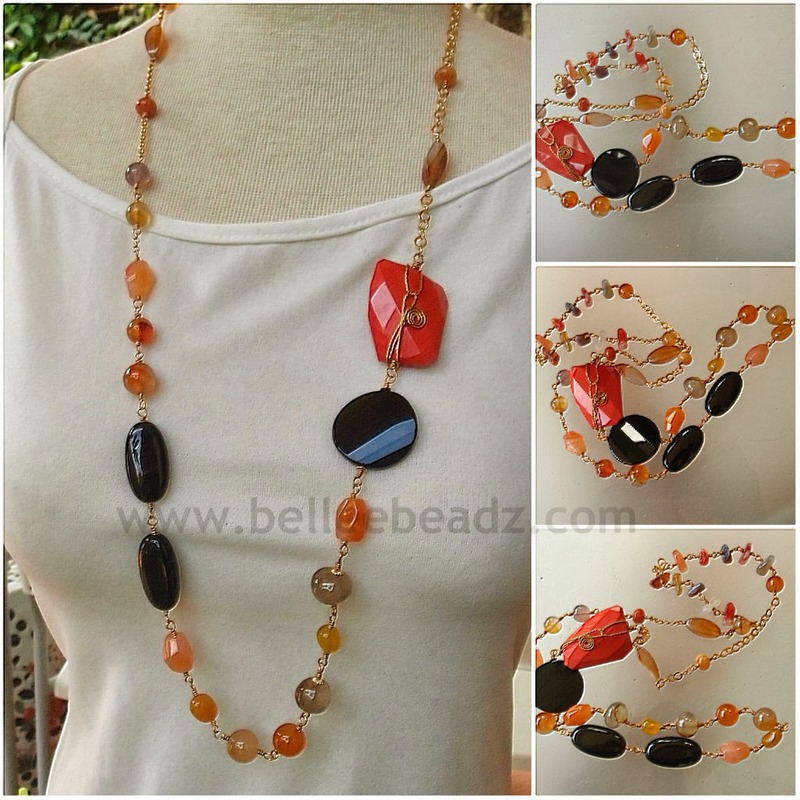 Using agate and black onyx, this necklace measures approximately 36".